Like you, our SYNERGY HomeCare team believe the most valuable people in our lives require special attention and compassionate care. Trying to provide this level of care alone is not easy and perhaps unsafe. If you or a loved one needs help, we are here for you. At SYNERGY HomeCare we remove your worries and care for your loved one like they are family, this allows you to maintain a more light-hearted and enjoyable relationship. Our trained and experienced caregivers provide memory care for your loved one battling Alzheimer’s and dementia, comfort care for hospice patients and we also offer back-up childcare. We partnered with the Veterans Administration home care program and administrative assistance with long term care insurance to ensure that any Veteran in our community can receive the best home care and the financial support they earned, by serving our Country. Our commitment is to provide premier in-home care that is personalized to each individual client’s needs. We serve clients in family homes, retirement homes, assisted living communities, rehabilitation facilities, and nursing homes. No matter where you call home, we can help. We can also provide comfort care and safety/supervision while in the hospital. We understand that choosing the right care provider is a difficult decision, and we are here to help you every step of the way. Contact us or call today at 703-558-3435 to discuss over the phone or to schedule a complimentary, in-home consultation. 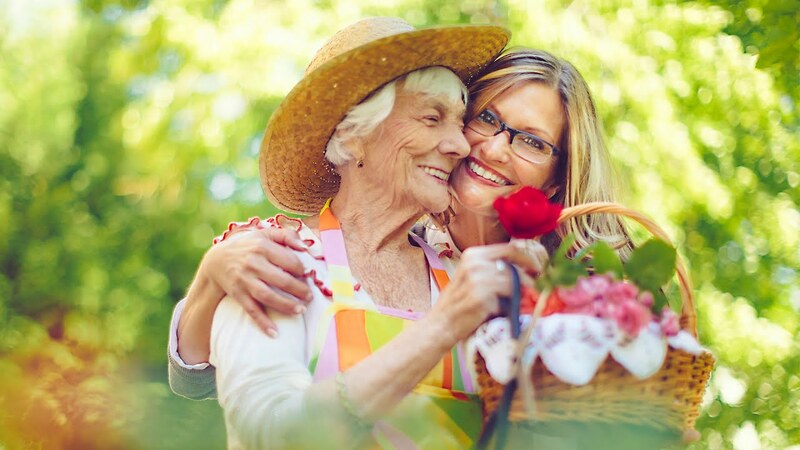 SYNERGY HomeCare has hundreds of experienced and trustworthy caregivers. We are proud to be your neighbor, please call your local agency and our experienced staff can help customize a care plan to meet your needs. Communicating on a regular basis with your larger healthcare team. We, at SYNERGY HomeCare, are here to help. Every step of the way. Call us today to schedule a FREE in-home care assessment 703-558-3435. We understand that choosing the right care provider is a difficult decision, and we are here to help every step of the way. Contact us or call today at 703-558-3435 to discuss over the phone or to schedule a complimentary, in-home consultation. SYNERGY HomeCare of Arlington, VA is the name you can trust for home care in Arlington, Alexandria, Springfield, Annandale, Falls Church, McLean, Tysons Corner, and Vienna. Call us today to schedule your FREE in-home care assessment. "I wanted to take this opportunity to thank you for the care and comfort you provided me in this very tumultuous time. Events moved so quickly and the intervention your agency offered us was so essential to keeping me sane and focused. We are ever grateful not only for the services you provided to us but for the dedicated service you provide to families and individuals who need this help. In admiration and appreciation we thank you." "Thank you for making our residents’ days more perfect by providing transportation and companions to assist them to appointments. You’re wonderful." "Synergy HomeCare appeared as the silver lining in an approaching storm cloud when a crisis incident pressed us into an immediate need for assistance with home care for our father. Quickly and with professional competency and caring compassion, Synergy listened to our needs and concerns and addressed them adroitly and appropriately. As we have interacted with the various individuals throughout Synergy HomeCare we have perceived a level of service orientation that has gained our respect trust and thanks." "My dad was in the hospital and I needed someone to watch him last minute. I called Synergy HomeCare and they had someone come over within several hours. This was such a relief to know that someone caring helped me out. The hospital and I will always be grateful." "Our family is truly blessed with Synergy HomeCare services. We are doing a long distance home care between Hawaii and Virginia for my auntie who needs assistance in her medical appointments and other activities. Synergy provides us affordable rates, accommodates all my requests and even last minute changes no matter what the time of day. I am able to reach them instantly. The owner Mitch and his staff treats you like family and are very dependable so that we can rest assured everything is taken care of without any worries. We highly recommend this company to anyone and I’m personally grateful for all their care and support in taking care of my auntie." "I have had the pleasure of working with four different Synergy HomeCare caregivers. Everyone has been wonderful, so courteous, so concerned about me. I bonded with each one instantly. I have been so happy with Synergy HomeCare that I told my pastor about them so he can spread the word to others who need these services." Don't worry! SYNERGY HomeCare is here to help by offering a variety of services; from providing a companion who can clean prepare meals and will remind dad to take his medicine to around-the-clock compassionate care. Our home care specialist will customize a plan and give you peace of mind that your parents are getting the help they need and most importantly that they are safe. Call SYNERGY HomeCare now to schedule you FREE in-home care assessment. Here are some awards we have earned over the years simply by caring for our community.